The Baldwin family is getting bigger! On Wednesday, Hilaria Baldwin announced she is pregnant with a super sweet post on Instagram. This will be her third child with husband Alec Baldwin, who also has a daughter from a previous relationship. Yeah, that's a big family, but the 32-year-old couldn't be happier about their impending addition. As she wrote on Instagram, "Ireland, Carmen, Rafael, Alec, and I are excited to share with you that we are going to have another addition to our family. A little boy coming this fall #366daysoflivingclearly #HilariaLCM." 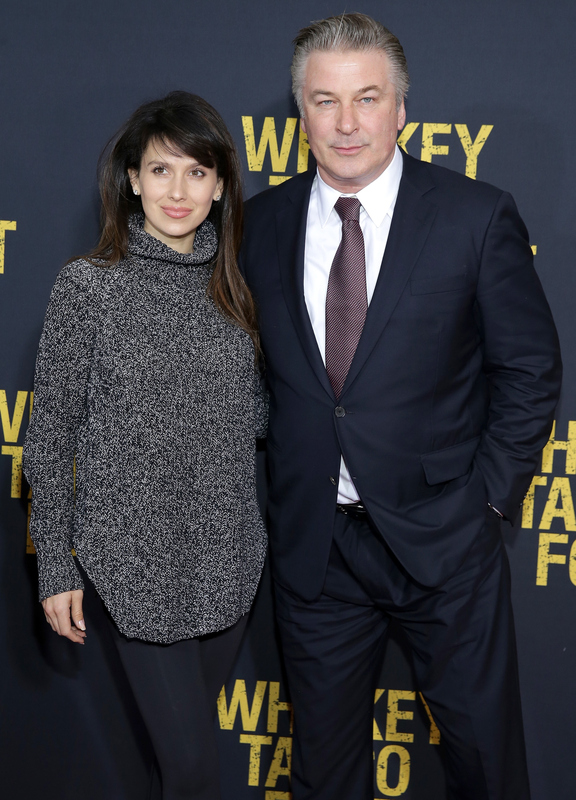 Just this past June, Alec and Hilaria welcomed their second child, a boy named Rafael Thomas Baldwin. In August 2013, they had their first child, a daughter named Carmen Gabriela. I think it's safe to say that their third bundle of joy will also have a pretty awesome name. I mean, they clearly haven't gone wrong yet in the moniker department. Alec is also father to Ireland Baldwin, who he had with ex-wife Kim Basinger. Despite life probably getting a bit more hectic for Alec and Hilaria with three little ones running around, based on the photo below, it sure doesn't seem like they're panicking (at least not yet). They look blissfully happy about the news, and can you blame them? Let's wish them all the best and impatiently wait for the next cute photo they share of their baby boy (and his probably awesome name). Congrats to them both!